Step2 Art Desk Only $37.99 + FREE Shipping (Reg. $70)! You are here: Home / Great Deals / Amazon Deals / Step2 Art Desk Only $37.99 + FREE Shipping (Reg. $70)! HURRY! This deal at this price may not last much longer! 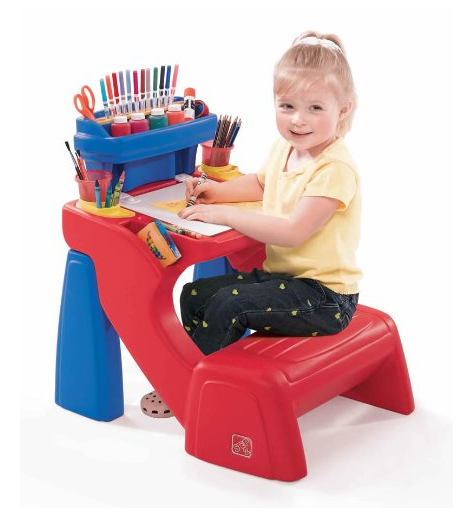 You can snag this super fun Step2 Art Desk for Only $37.99 + FREE Shipping (Reg. $70)!! It’s super easy to clean and comes with a multitude of organization area for paper, crayons, markers and whatever else your little creative genius and think of!